The process of plea bargaining of traffic tickets in the municipal courts in New Jersey is permitted. When a person plea bargains a traffic ticket, the goal is to reduce the penalties that have been allocated for your traffic offense. Some of the specific offenses that I have successfully plea bargained for my clients include speeding; reckless and careless driving; improper turns and signaling; driving without insurance; driving while suspended; leaving the scene of an accident; and many others. 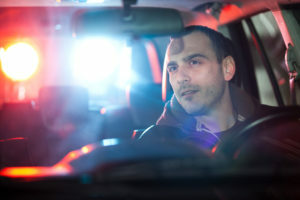 Depending on the circumstances of your case, penalties can range from severe (including the loss of license and possibly jail) to less serious (fines, points, and surcharges). For example, if you are convicted of improper passing on the New Jersey Turnpike, you will receive four points on your license. In a plea bargain, we would try to negotiate the amount of points that you have received down to a lesser number. In addition, most offenses will impact your insurance rates and make your monthly premiums higher. To properly handle these types of cases, whether you live in New Jersey or out of state, you should call upon an experienced municipal court attorney, like myself, who understands how to navigate the system. I have successfully plea bargained thousands of tickets from my municipal court clients over the past 25 years. Please call my office for a free consultation.